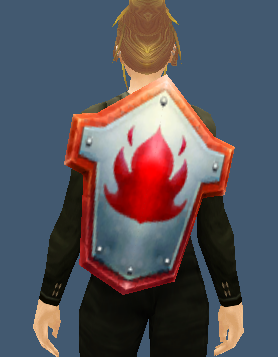 With a 25% droprate of Scarlet Commander Mograine, it is fairly easy for a level 85 (and many lower toons as well) to solo Scarlet Monastery to obtain this shield. Don’t forget to get the Tabard of the Scarlet Crusade off the Scarlet Trainees. This entry was posted in Scarlet Monastery, Shields and tagged BOP, Scarlet Monastery, shield. Bookmark the permalink.